I’m very excited that little four eyes just passed the 100 posts mark today! 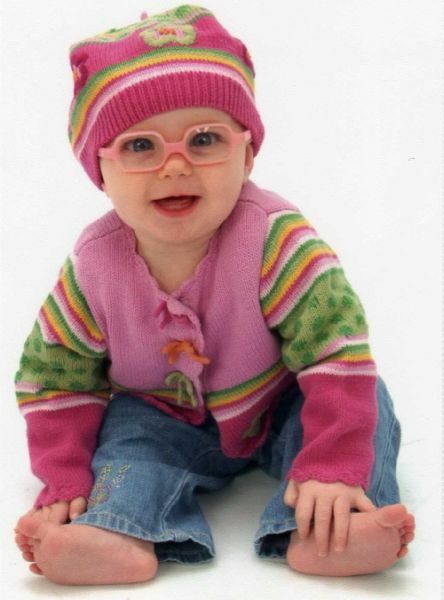 I started this blog in mid-March, 3 months after Zoe started wearing glasses, because I just wanted to find other parents of young kids in glasses to talk with, and exchange ideas and tips and just generally connect. Since then we’ve had 8 authors join the blog, not to mention posts sent to me via email that have been posted. I’ve learned so much about children’s vision, and the many different struggles that we’ve faced. This blog has had over 16,000 visits since March, and should top 4,000 visits this month alone. There are 334 comments on the blog so far. The comments are probably my favorite part (well, the photo gallery might really be my favorite, but they’re a very close second). I like the feedback, I like hearing other people’s thoughts on different topics. If you all don’t mind, would you leave a comment to just say hi, and if you’re looking for a reason to comment, I’d love to know what you like about little four eyes, and what else you’d like to see. 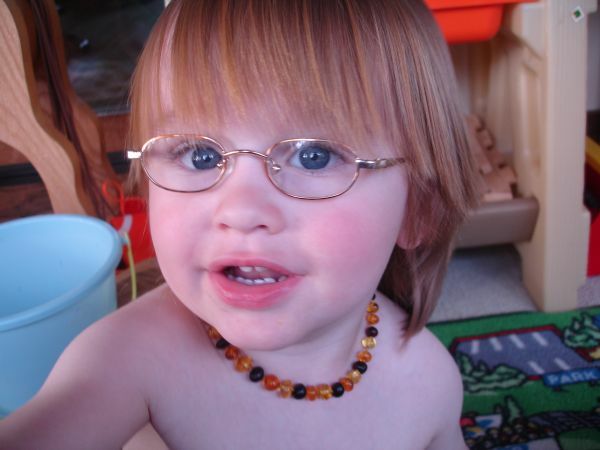 To commemorate the milestone, I’m going to share some more photos of kids in glasses. Sometimes I get more than one picture of a child for the photo gallery, and it’s one of the most difficult things to decide which to use, so I’m happy to get to share a few more. The pictures are behind the jump. Thank you to everyone for reading, participating and helping to make this a better blog! I just have to tell you that your blog has been sent from heaven. 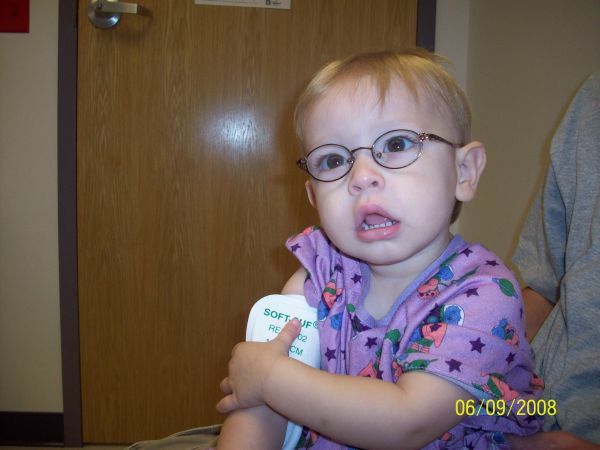 Reid started wearing glasses in mid March of 2008 and when I was searching for information on babies with glasses I was extremely happy to see your blog. Thank you so much for initiating this amazing info blog. 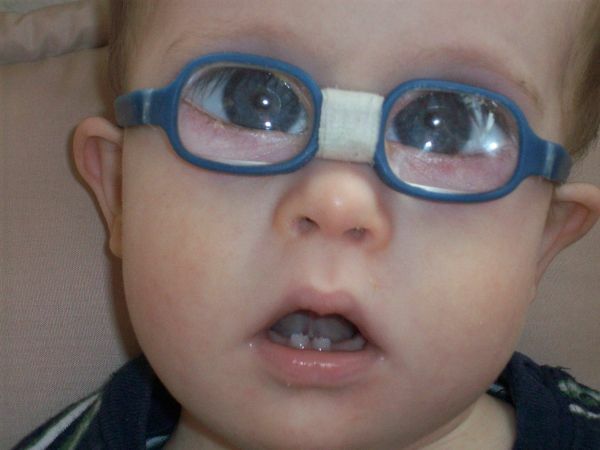 I love to read the posts and comments from everyone because it make me feel like I am not alone with struggling to get Reid to wear his glasses or finding good doctors, etc. Thank you Ann for starting this and thank you for everyone who has contributed advice. Congratulations! It’s great to see this blog grow and be a resource to so many people. I came across your blog recently and have been checking it daily since then. Thank you so much for the work you put into organizing it. 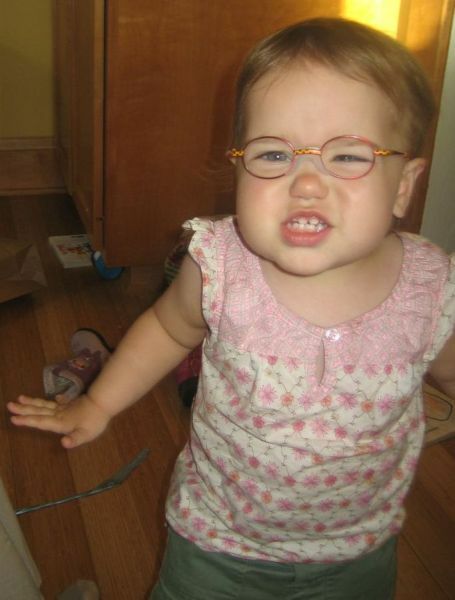 It has been a great resource and constant assurance that we are not the only ones dealing with a toddler and glasses. 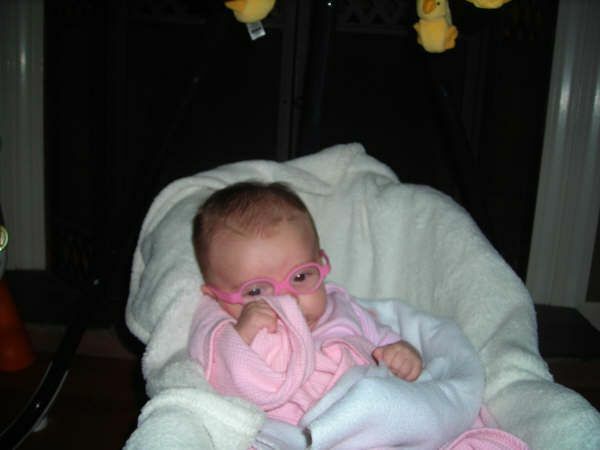 My daughter got her glasses at 7m old (now she is 17 m) for hyperopia (+5.5,+6.0) and strabismus. Anyway, thank you Ann and other posters! I am very thankful for this site. My little girls Mia (2 1/2) just got her first pair of glasses 4 days ago. She has a twin sister, who’s eyes are good. But having twins is an interesting challenge when one of them needs glasses. Anyways, I’ve been feeling quite alone in this new journey with Mia. I don’t know anyone else with a young toddler in glasses. Thus, this website has been good for me and makes me feel more hopeful and “normal”. So far, Mia is doing better than I expected. Today, I would say she probably went less than an hr of total time of NOT wearing her glasses during her waking hours. I am still very anxious but continue to be hopeful and reassured that things will be ok, and she will accept her glasses as part of herself as well. The pics are great- the blog is great= the site is great! I wish I could be more active! Thank you for all you do- and the cutie pics that you put up again! !